Flexible pay as you learn weekly driving lessons starting from your home, workplace or any suitable place in Doncaster, or the surrounding areas. Taking driving lessons in Doncaster on a weekly basis is a very popular way to learn how to drive. They offer learner drivers a flexible affordable solution to make easy paced progress on the road. These weekly driving lessons last for 1 to 2 hours. There are options for people looking to take more than one lesson each week. 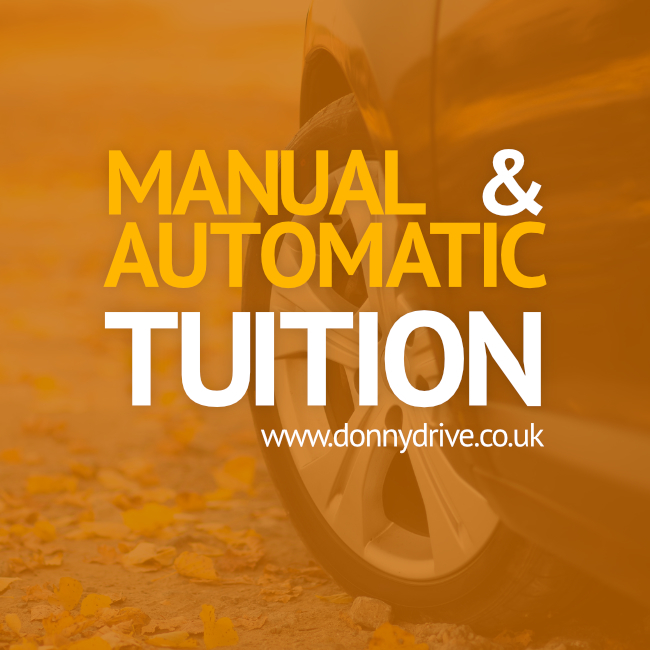 This type of driving tuition provides a way to pay as you go, or if you make a block booking you can make a substantial saving, see our price list here. Our friendly flexible instructors are able to schedule driving lessons appointments during the day, evening or weekend. Simply learn to drive around your commitments with manual or automatic driving lessons in your local area. Weekly training are suitable for learners just beginning through to the more experienced learners who is close to taking the driving test. For people who are looking for a faster way to get a licence we can recommend a tailored intensive driving course. These are fast paced and popular with learners who are able to develop new skills quickly. We have instructors providing driving lessons in Rotherham, Barnsley, Wakefield, Pontefract and Huddersfield. Find out how you can drive weekly with us. Call us on 0800 087 2833 today.